The pumping xenia coral, also known as pom pom xenia or pulsing xenia seems to be loved as much as it is hated. However, nobody can deny it is a very interesting appearance in any reef tank. So let’s dig a little deeper in our knowledge of this coral. Why does pumping xenia do what it does? Pumping xenia is a soft coral, it mostly feeds on nutrients in the water and photosynthesis via their zooxanthellae. They get their name from the pulsing/pumping movement they make. There has been quite a lot of research about why exactly they do this, as it takes the coral a lot of energy and it needs to be justified why they would do this constantly. Studies showed the photosynthesis rate of pulsating colonies compared to non-pulsating polyps was a lot higher. By sweeping away oxygen rich water with its pulsating move, an augmentation in the binding of carbon dioxide to the photosynthetic enzyme RuBisCo occurs, which also leads to a decrease in photorespiration. To get back to human language… 🙂 by pulsating, the pumping xenia coral makes the photosynthesis process more productive so it basically provides itself with more energy and food. This is also why you will see it pulsing more in less flow. When it’s here, it’s here to stay! The pumping xenia coral is quite hardy once it is settled in, but it can act strange in some cases. In some tanks it just cannot survive (still figuring out why exactly), while in other tanks it will thrive. For me it took 3 tries before I got a frag that would hold up. Since then, as you may know, it has been very hard to keep it under control. It starts to pop up in different places and it grows like wildfire. Which is the main reason why it is hated as much as it is loved in the reef hobby. It is VERY hard to get rid of once you’ve put it in your tank and regular trimming is needed to make sure it doesn’t take over the entire tank. Although it can be quite dominant in quantity, it makes up for it in character. 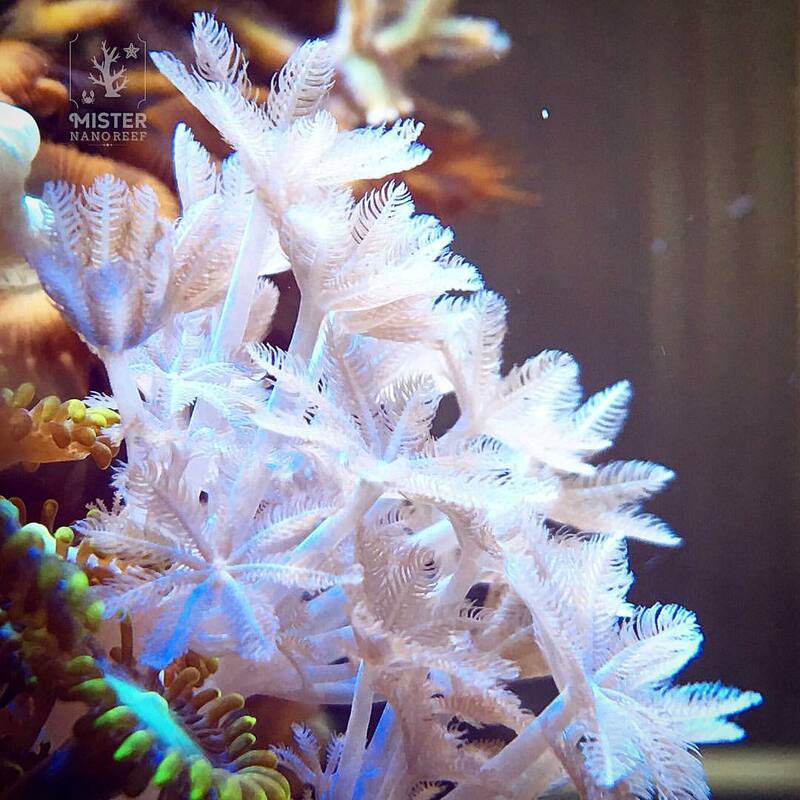 The pumping xenia coral is very peaceful so don’t expect any aggression towards other corals. I’ve learned to appreciate the goods and bads of this coral and use it in the best functional way. Streaming: the less flow it will get, the more you will see the pulsing motion, It can even handle direct flow as one of the few corals out there, so it’s up to you what you prefer. Feeding: You don’t have to feed this coral, although I’ve seen it eat frozen lobster eggs or Reef-Roids. They will get nutrients from the water and through photosynthesis. It even likes a bit of dirty water. Salinity: As I am a fan of mixed reefs, I keep my salinity level at an average of 35ppm. Use a good refractometer to determine the right balance. 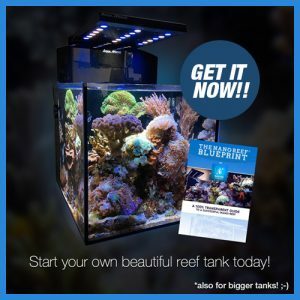 What is your experience with the pumping xenia coral? Let me know in the comments below!